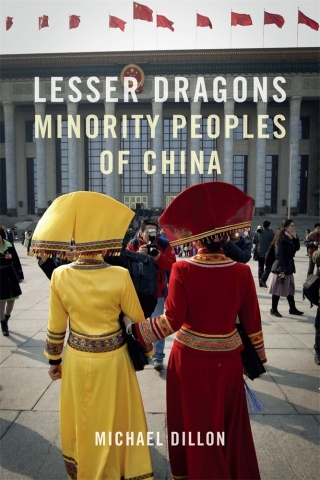 Lesser Dragons is a timely introduction to the fascinating and complex world of China’s ‘national minorities’. 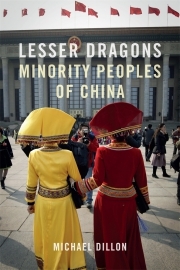 Based on detailed research, including the author’s first-hand fieldwork in several minority areas, it introduces the major non-Han peoples of China, including the Mongols, the Tibetans, the Uyghurs of Xinjiang and the Manchus, and traces the evolution of their relationship with the Han Chinese majority. Each chapter discusses one of the most important minority groups, while an additional chapter is devoted to the parallel but different world of inter-ethnic relations in Taiwan. Lesser Dragons will interest anyone who wishes to understand the reality behind the region’s conflicts that are increasingly being reported in the Western media, including the tense security situation in Xinjiang, China’s attitude to Tibet and the Dalai Lama, and the resistance of Mongolian herders to the loss of their grasslands. It examines clichés, such as those found in the Chinese press that portray the ethnic minorities as colourful but marginal people, and shows how their religions, cultures and above all their languages mark them out as distinct from the Chinese majority yet endangered by forces of integration. Michael Dillon was founding director of the Centre for Contemporary Chinese Studies at Durham University and has been a visiting professor at Tsinghua University. He is a Fellow of the Royal Historical Society and the Royal Asiatic Society, and a member of the Royal Institute of International Affairs.